Easily generate Instruments traces for your rust crate. 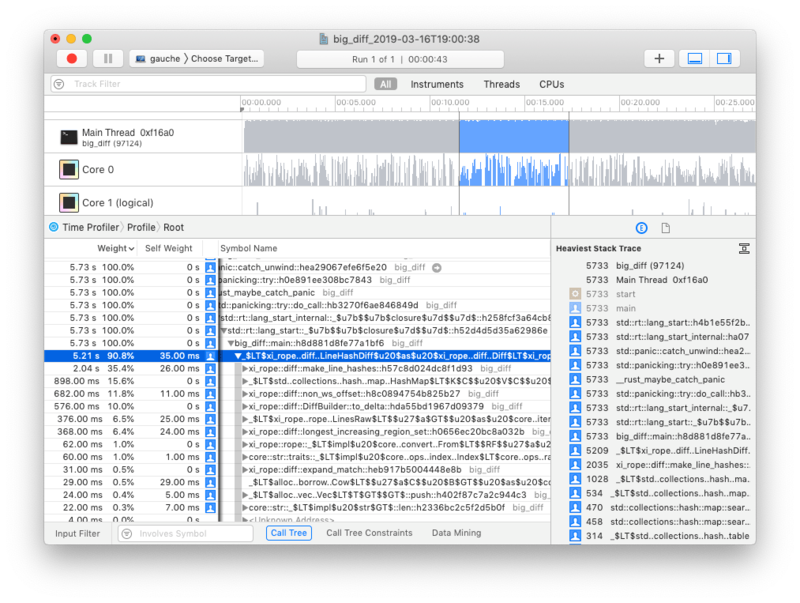 cargo-instruments is glue between cargo and Xcode's bundled profiling suite. It allows you to easily profile any binary in your crate, generating files that can be viewed in the Instruments app. First, ensure that you are running macOS, with Cargo, Xcode, and the Xcode Command Line Tools installed; then install with cargo install cargo-instruments. cargo-instruments requires a binary target to run. By default, it will try to build the current crate's main.rs. You can specify an alternative binary by using the --bin or --example flags, or a benchmark target with the --bench flag. Instruments has the concept of 'templates', which describe sets of dtrace probes that can be enabled. 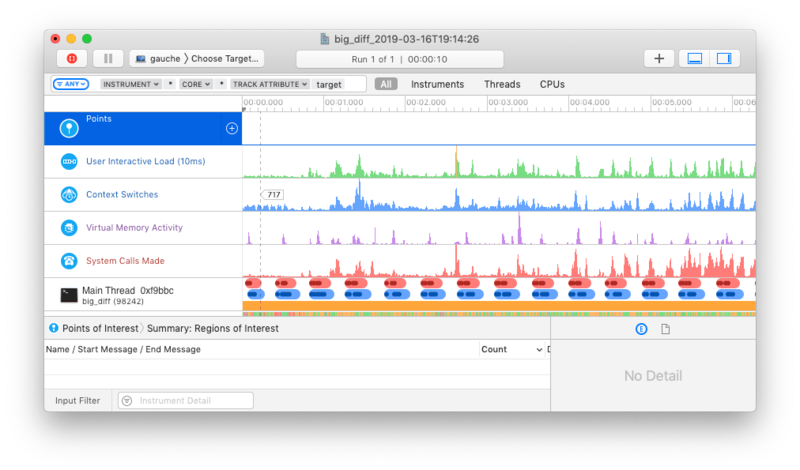 cargo-instruments will use the "Time Profiler", which collects CPU core and thread use.